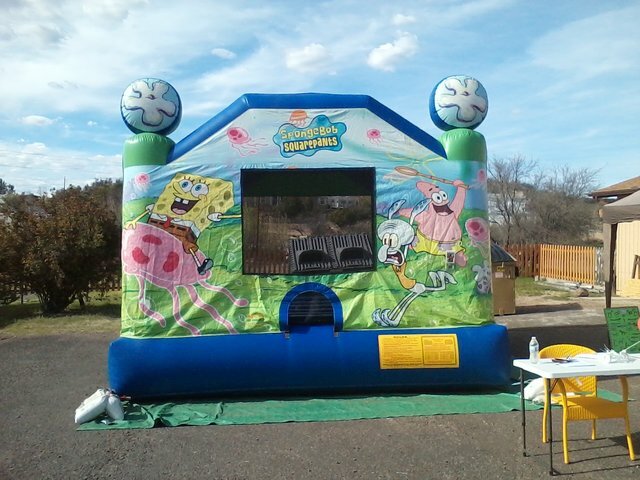 Get ready for an under the sea adventure with the SpongeBob bounce house! This impressive moonwalk has a large jumping arena. Kids will be immersed in fun for hours on end. All of your favorite SpongeBob characters come together in this inflatable under the sea. Normal set up within 100' feet of a power source. FOR CUSTOMER PICKUP OPTION: Price is $180 for 24hrs - Choose the customer pickup option at checkout.